We have selected a few testimonies from farmers themselves to trainers of Farming God's Way, to give you some feedback from people who implement and/or train Farming God's Way. Click on each picture if you wish to view the 'live' testimony on YouTube. Dickson lives in a rural poverty stricken area called the Lower Shire in Malawi. Food aid streams into the area every year and the plight of the poor just gets worse. Dickson's father used to get an average of just three 50kg bags from the acre he handed on to Dickson as his inheritance. In his first year of doing Farming God's Way they had a severe drought, but still managed to harvest 5 bags, where 4 of those came from a small area where he had put God's blanket down. His neighbours all around him harvested very little and some nothing at all. In his 2nd year he got 45 bags; 3rd year 54 bags & 4th year 69 bags. That is a 23 fold yield increase!!! 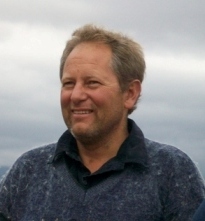 August used to live in Maphutseng, Lesotho, with his family where they ran a trust called Growing Nations. He has been teaching & advocating Farming God's Way throughout Lesotho and other countries for many years. He believes wholeheartedly in Farming God's Way as a tool to empower the poor as compared to handouts. He also strongly advocates that the Biblical truths cannot be left out as it is herein that the true breakthrough comes. In 2005 Grant Dryden planted a Well Watered Garden in Tomali, Malawi. The soil was rock hard, light in colour and powdery when crushed. The community were very faithful and built a natural fence from Palm thorn fronds which are resistant to termites and keep animals out. In 2006, due to God's blanket Grant could put his fingers into that previously rock hard soil - the Restoration had begun. In 2007, a clod of soil was taken from 1m outside the Well Watered Garden and a clod from 1m within the garden - the soil had improved drastically, and was dark, filled with airspaces, living organisms and organic matter. What the specialist say should take place in 5-10 years the Lord had done supernaturally in just 2 years. Vu mile and Patience run a church and preschool and have been practising Farming God's Way succesfully since 2005 in Nyanisweni, near Qumbu, in the former Transkei in South Africa. He has also been actively training in his community and surrounds. Having both food security and being able to make sustainable profits is very important for church leaders to demonstrate to the congregations they look after. With model farmers like Vumile we are trusting the Lord for a ruralisation to take place in South Africa, where the poor, who nearly all have land in the rural areas, can leave the squalor of the squatter camps and return to the land God gave them, equipped to be able to live in Jesus' promised abundant life. 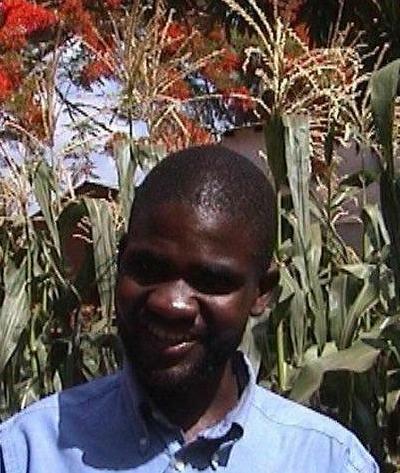 Joseph was a peasant farmer in Thyolo, Malawi. His life was in a mess, struggling with poverty, alcohol abuse & ancestral wo rship issues. He averaged just 7 bags of maize from his plot per year which was not even enough to care for his own family. He was without hope and aimless in his poor farming community when Johan van der Ham picked him out, along with several others, to disciple him in Farming God's Way. They met weekly over the preplanting season and with the opportunity of teaching Farming God's Way came the opportunity for Joseph to be discipled in the fulness of God's ways. He submitted his life to the Lordship of Christ, cleaned up his life and began to walk in faithfulness and good stewardship of the Farming God's Way tool he had been empowered with. At harvestime his yield was an astounding 70 bags - 10 times his average yield and the poverty cycle over his life was broken. 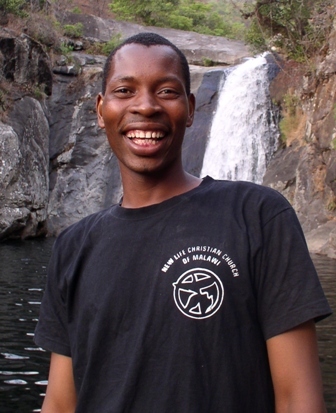 Joseph now ministers full time with YWAM in Malawi.